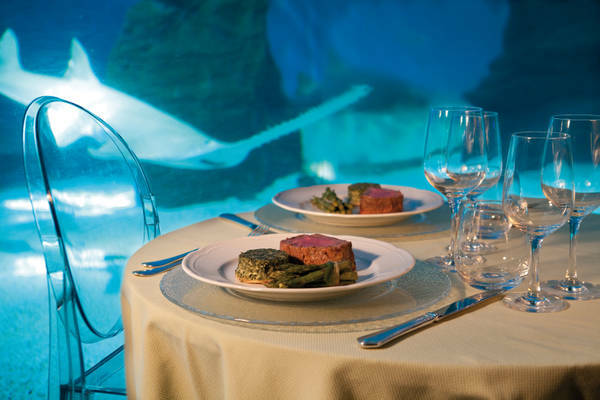 The Aquarium of Genoa, the heart of the Acquario Village world, offers a candlelight dinner in front of the large shark tank. After a drink set up in front of the Acquario di Genova tanks, the experience continues with a fascinating guided evening tour of the structure. 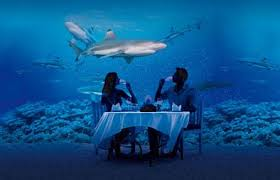 The evening ends with a refined dinner in a spectacular and exciting setting: the sharks and their large tub will be the setting for an extraordinary evening. For those who wish to prolong the experience, the exclusive "Genoese Notturno" package is available.